Shoulder blade pain or any kind of pain in the shoulder can severely limit your activity levels without proper pain treatment. In Midtown Manhattan, neck and shoulder pain is best treated by sports medicine pain specialists with experience in muscle pain treatment. Whether you have right shoulder pain or left, it doesn’t have to hold you back. Come to our pain management clinic to get your shoulder pain evaluation and treatment. Meet our pain doctor Febin Melepura M.D. to get the pain relief you need in the safe, reassuring hands of the best pain management doctors NYC. The word “shoulder” is used to describe a joint that’s really made up of a number of different parts, primarily the scapula (shoulder blade), humerus (upper arm bone) and clavicle (collar bone). The tendons and muscles that hold these joints together give you the mobility you need to do everything from swinging a golf club to throwing a touchdown pass. All that activity takes its toll, though. Neck pain and shoulder pain can knock you out of your game indefinitely unless you seek help from a sports and pain management team in Manhattan to provide the best shoulder pain treatment. Bursae are the fluid-filled sacs in your shoulder that allow your flexibility by preventing bones from rubbing up against each other. Bursitis happens when that sac just plain wears down, usually from overuse. Tendons wear down as well and can eventually lead to tendonitis. Tendonitis is either acute, from a sudden tear or accident, or as chronic pain in the shoulder, often leading to arthritis. Most cases of right shoulder pain and left shoulder pain from wear and tear are due to osteoarthritis, which often begins to appear in middle age and worsens as you get older. Your NYC physician needs to get a complete picture of your pain to properly diagnose the cause and come up with a shoulder joint pain treatment plan. He needs to know when the pain first started, how bad it gets, when it’s worse and what makes it feel better. An arthroscopy may be in order if no conclusive results are found. It’s a minor surgical procedure, during which your Midtown doctor places a fiber-optic camera through a tiny incision to get a closer look at the inside workings of your shoulder. He can see things that don’t show up on x-rays and sometimes, he can even correct the problem during the procedure. You may be familiar with the rotator cuff, which is a group of muscles and tendons that surround your shoulder on each side. Rotator cuff injuries are common, especially for athletes and those who do physical work every day. A rotator cuff tear or repetitive motion wear-and-tear can lead you to seek relief from a shoulder joint pain treatment specialist in Manhattan. Treatment for shoulder pain is tantamount to maintaining your activity levels. Whether you have an accident or chronic condition, you could end up with permanent immobility, weakness or stiffness without shoulder muscle pain treatment. Don’t put off a doctor’s appointment if you’re in pain. Surgery may eventually be needed to relieve your neck and shoulder pain. Surgery may consist of a simple tendon repair or be as sophisticated as a complete shoulder replacement, depending on your specific needs and goals. Do you have any questions about the shoulder pain treatment we offer in NYC? 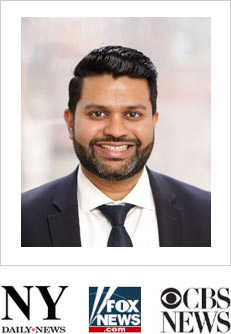 Would you like to schedule an appointment with the best rated shoulder pain management doctor Febin Melepura MD of pain management clinic in NYC? 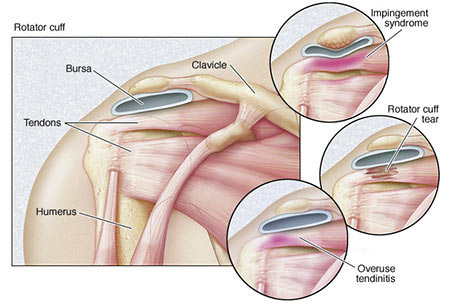 Please contact our office for consultation with the pain relief specialist for shoulder in Midtown Manhattan.